Miconia leaves. 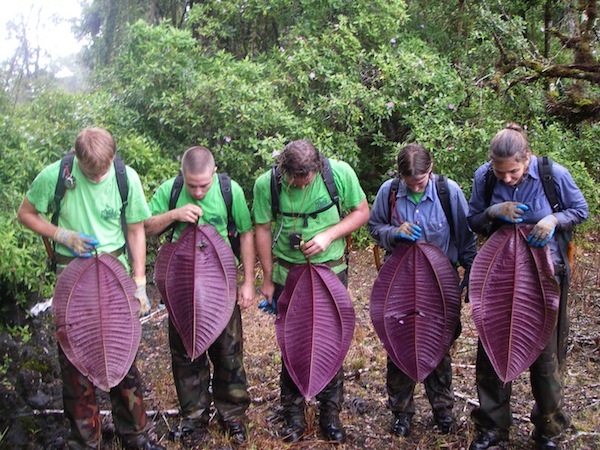 Photo courtesy Oahu Invasive Species Committee. The Oahu Invasive Species Committee has a variety of plant and pest species they target across the island, and three of these species have been found in the Tantalus area. However, with continued survey and removal they can be prevented from establishing on Oahu. The area and frequency with which surveys are conducted depend on the species itself. When a plant is found, a buffer zone is created around the plant. OISC routinely surveys these buffer zones according to how soon the plant reaches maturity. So, while miconia surveys are conducted every three years, glory bush and cape ivy surveys are much more frequent, conducted every 6 months and every 3 months, respectively. You can support OISC’s mission and protect the community from harmful invasive species by allowing OISC to survey your property if requested, and by reporting invasive plants and pests when you see them. Visit OISC’s website (http://www.oahuisc.org) for photos and descriptions of invasive species and their impacts. Image courtesy Oahu Invasive Species Committee. OISC is a voluntary partnership of state, federal, and private agencies united to protect Oahu from the most harmful invasive plants and animals that threaten our environment, economy, and human health. Protect O‘ahu’s native ecosystems, agriculture production and the public’s quality of life. Eradicate incipient invasive species and contain high impact invaders. 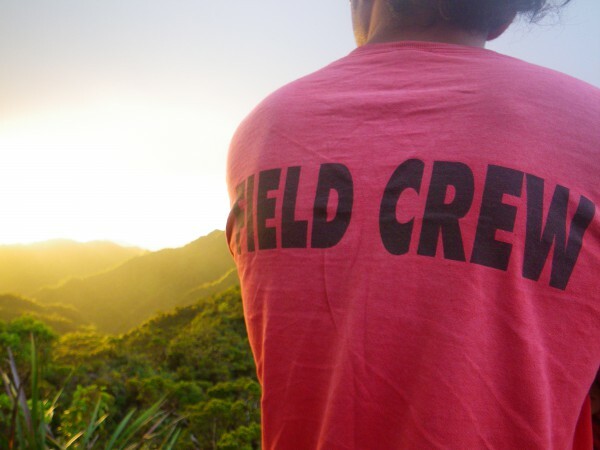 OISC fills an important function in invasive species management by surveying and removing harmful pests in the early invasion stage and eradicating them either island-wide or from ecologically sensitive areas. Invasive species don’t recognize any boundaries, therefore OISC works island-wide on both private and public property through our partnerships.